Experience a world of educational possibilities, cultures, and travel! Take a look at our upcoming study abroad opportunities, and widen your world. Programs, courses, and cultural excursions may vary from year to year. Programs are open to all students and campus community members. Description of trip: Travel to Tucson, Arizona and Nogales, Mexico to study issues related to the U.S. and Mexico borderlands. Students will immerse themselves in diverse learning opportunities with the goal of increasing their knowledge of immigration as well as their capacity to analyze complex border issues. 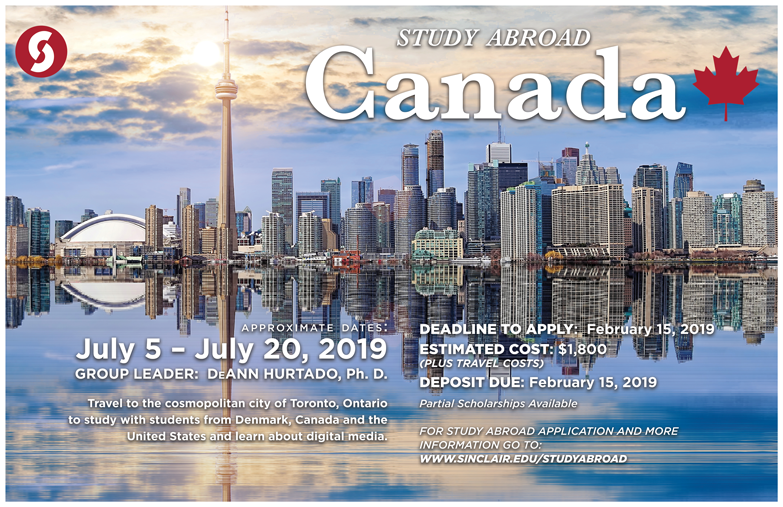 Faculty Lead: DeAnn Hurtado, Ph.D.
Travel to the cosmopolitan city of Toronto, Ontario to study with students from Denmark, Canada and the United States and learn about digital media. Together, students will critically analyze and interpret media messages and create effective media strategies. Faculty Lead: Adrienne Cassel, Ph.D.
Visit our Sister College, North Highland College in Thurso, Scotland, and engage in field studies at the Environmental Research Institute to learn about climate change issues. You will also explore the capital city of Edinburgh, tour Findhorn Ecovillage, and visit other cultural sites, including the Orkney Islands and Loch Ness. Description of trip: Experience scenic and historic Ireland as you learn about Irish life, culture, and history. Listen and learn Irish ballads and experience the Gaelic language. 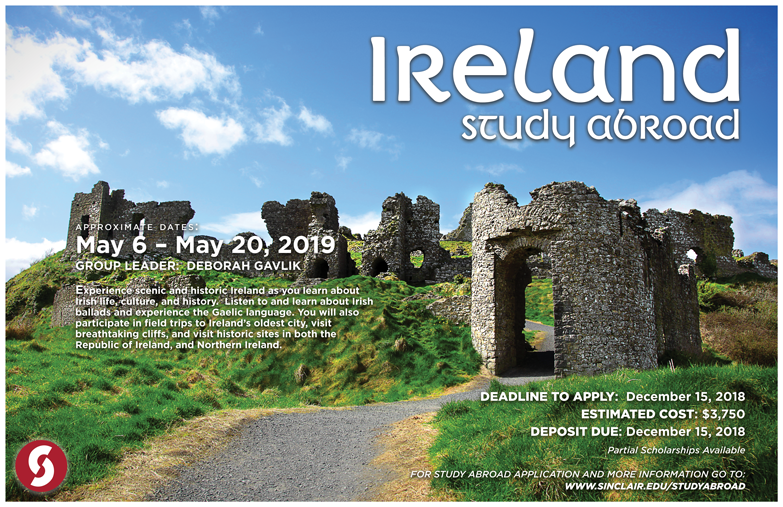 You will also participate in field trips to Ireland’s oldest city, visit breathtaking cliffs on the Atlantic coast, and visit historic sites in both the Republic of Ireland and Northern Ireland. Taste and experience Italian culture – through its food! Starting in Milan you will travel to the Cuneo region of Italy, where you will learn about cheeses, hams, wines and chocolate. 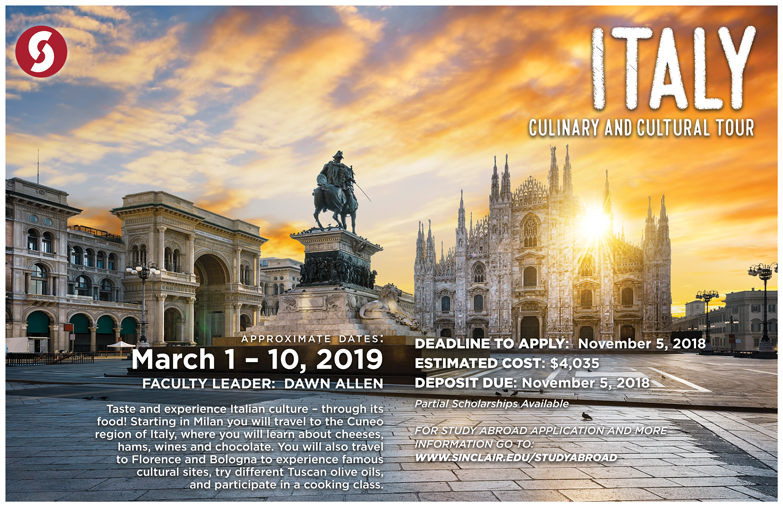 You will also travel to Florence and Bologna to experience famous cultural sites, try different Tuscan olive oils and participate in a cooking class. HMT 2297 Study Abroad – Students are required to enroll in HMT 2297, a one credit study abroad preparation course, during Spring A Term, designed to expose students to basic Italian vocabulary in the context of culinary arts, travel and tourism, differences in cultural values and norms between Italy and the United States, and an understanding of Italian cooking and the importance of wine in the culture and the economy. Travel to Durban, South Africa and learn about South African and American leaders for social change. You will visit Inanda, where Mohatma Gandhi and the African National Congress's first President, John Dube, birthed influential movements. To learn more about each program email the program leaders. Pay the deposit to the Bursar's Office (12-321) for your intended program. Keep a copy of the receipt. 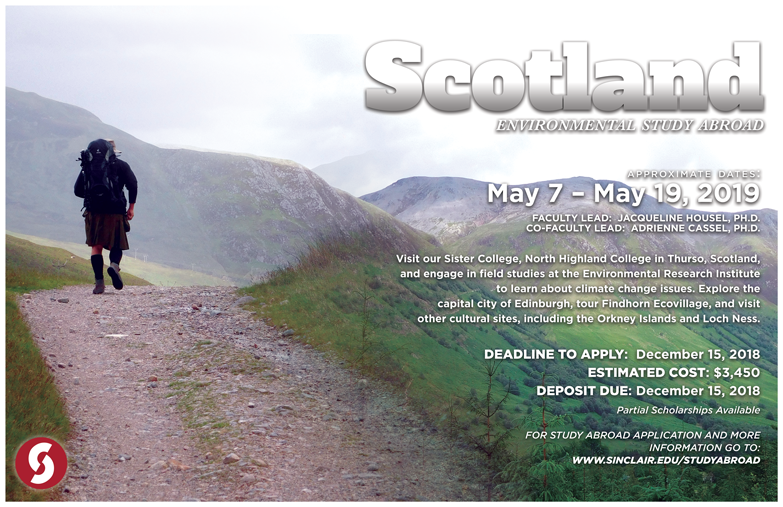 Complete the Sinclair online Study Abroad Application. 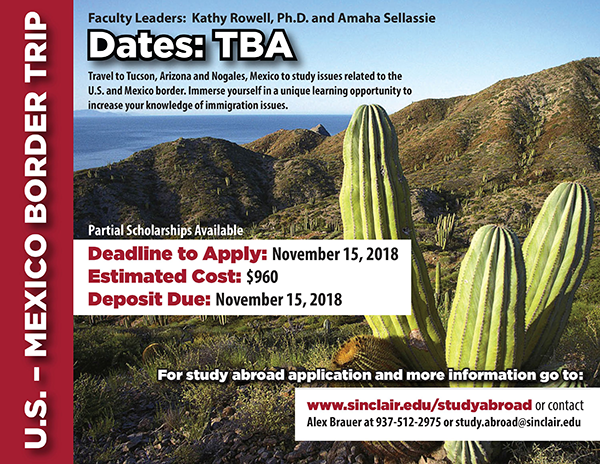 Complete the Study Abroad Award application and submit to the International Education Office (2-334) or email a copy to study.abroad@sinclair.edu. If you would prefer to complete a paper version of the study abroad application, submit to the International Education Office (2-334) or email a copy to study.abroad@sinclair.edu.